Contraction Master: Your FREE, online contraction timing assistant! The simplest, most accurate way to time labor contractions. With its cleaner design and clearer display of information this version of Contraction Master is even easier to use than ever before. Try it and see why this is the contraction timer that so many dulas rely on. The easiest way to ensure your baby is getting enough to eat. 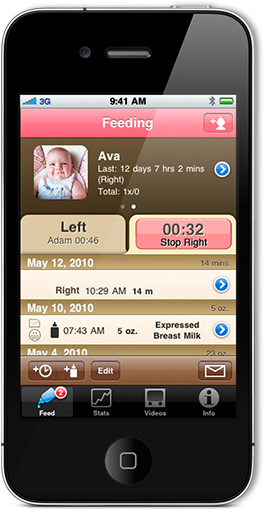 This handy app helps you track your baby's breast and bottle feedings so you can tell if she's getting the nourishment she needs. Don't leave you baby's health up to chance, get the app parents everywhere are using to keep their baby's healthy. The only app that helps you stay fit before and after baby comes. Whether you're four months pregnant or taking care of a newborn, Mommacise can help customize a workout that's perfect for you. Join the legions of moms who are committed to staying fit for their baby. Get Mommacise! 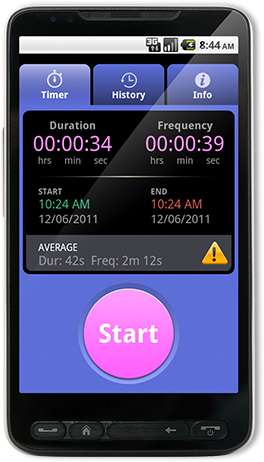 Now Android users can time contractions as easily as iPhone users. Try it and see why this is the contraction timer that so many dulas rely on. Stay informed about all the latest updates to Contraction Master! Now Available: Contraction Master for Android! 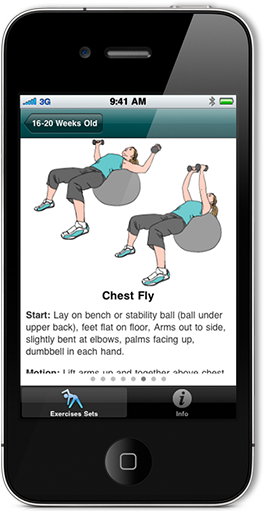 We've had many requests to make our popular iPhone app available to Android users and now it's here! Get it now! The idea came about when my wife was pregnant with our son and having to endure her own labor pains. It was late at night and I was becoming frustrated because I would have stop, fumble for paper and pen while squinting in the dark at the clock just to keep a running log of my wife's contractions. Even though the process would only take a minute, minutes feel like hours when your wife is in pain and you want to be at her side offering support. It was that night that I thought maybe I could make the process of timing contractions easier, thereby freeing up more of my time to be by my wife's side.